The Church of the Savior on Spilled Blood (Russian: Церковь Спаса на Крови, Tserkovʹ Spasa na Krovi) is one of the main sights of Saint Petersburg, Russia. Other names include the Church on Spilled Blood (Russian: Церковь на Крови, Tserkov’ na Krovi), the Temple of the Savior on Spilled Blood (Russian: Храм Спаса на Крови, Khram Spasa na Krovi), and the Cathedral of the Resurrection of Christ (Russian: Собор Воскресения Христова, Sobor Voskreseniya Khristova). This church was built on the site where Emperor Alexander II was fatally wounded by political nihilists in March 1881. The church was built between 1883 and 1907. The construction was funded by the imperial family. Architecturally, the cathedral differs from Saint Petersburg's other structures. 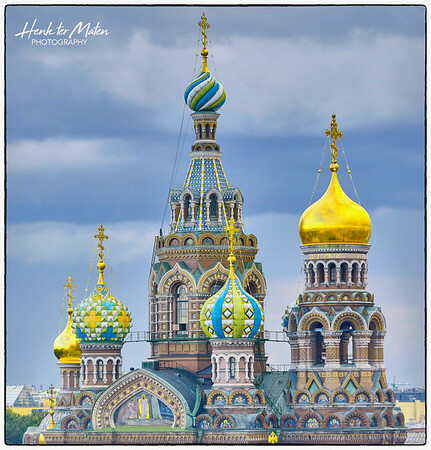 The city's architecture is predominantly Baroque and Neoclassical, but the Savior on Blood harks back to medieval Russian architecture in the spirit of romantic nationalism. It intentionally resembles the 17th-century Yaroslavl churches and the celebrated St. Basil's Cathedral in Moscow.